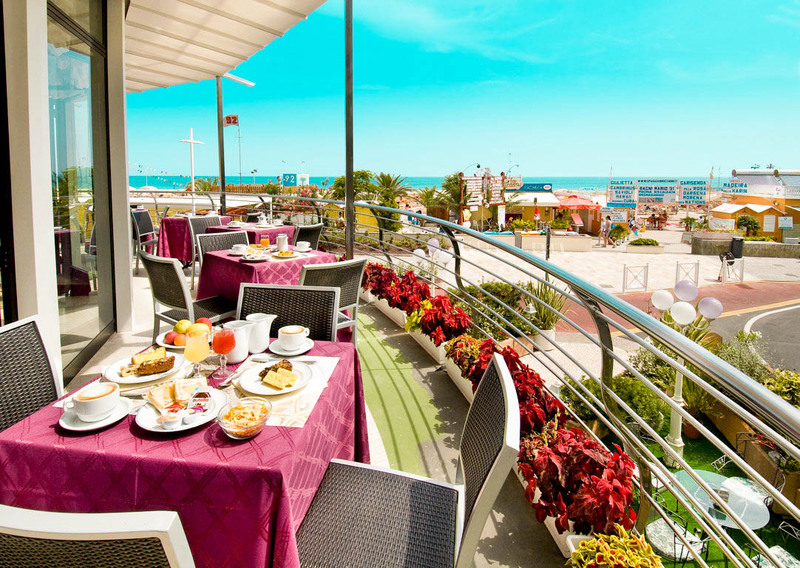 You are coming to one of the top Italian beach resorts, why not stay on the beach? 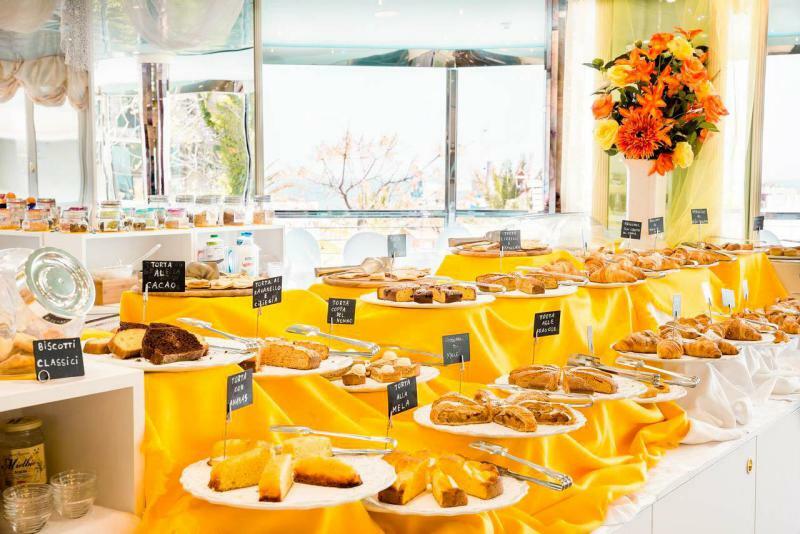 Our most popular package is based in a charming 4* hotel right on the water. 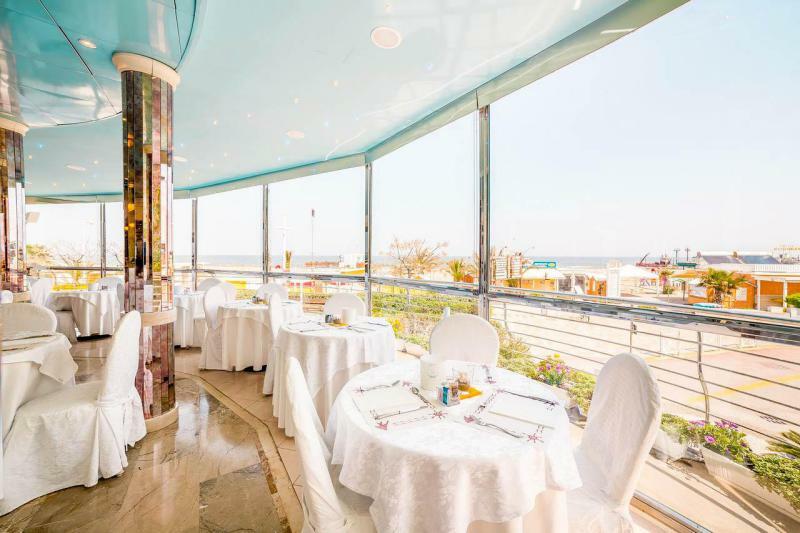 Sit on the balcony of your sea view room or amble across the promenade to the beach - you will soak up the atmosphere. 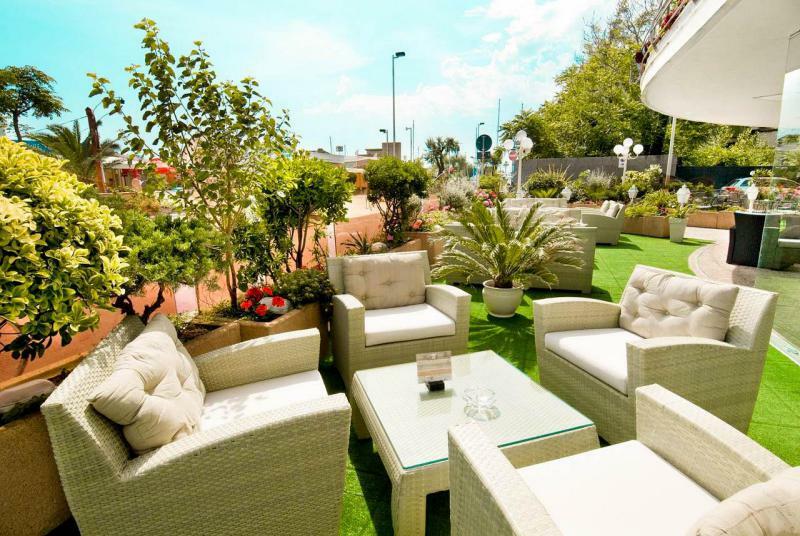 Of course you are minutes from many bars and restaurants, and a panoramic rooftop terrace with Jacuzzi. Free WiFi and a bar/restaurant with indoor and scenic outdoor seating. We offer sea view rooms, a brilliant Jr Suite and more economic rooms facing the town. Our package is 3 nights B&B, transfers on Friday (must pre-book), Saturday and Sunday. Dedicated guide on hand 24hrs, welcome pack with event polo shirt and cap, and of course our famous Friday opening party with speakers and guests. This is a great package for extra nights (inexpensive) and families in triple/quad rooms. Rates based on 2 people sharing (occupancy 1-4) 3 nights. Extra nights available. 3+ nights B&B 4* beach hotel, Sat/Sun track transfers (Fri no cost option), Fri opening dinner, dedicated guide, welcome pack. 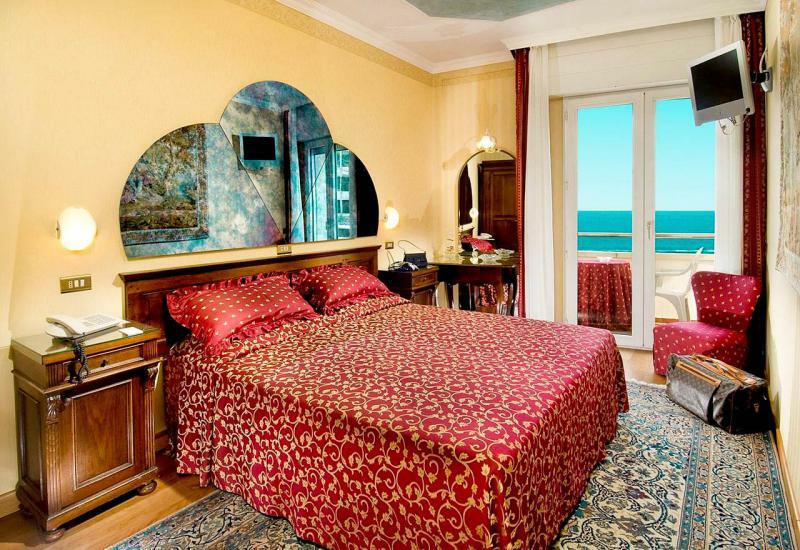 Large "Romantic" Suite with jacuzzi, sea view and balcony. Rates based on 3 people sharing (occupancy 2-4) 3 nights. Extra nights available.